Learn about standard symbols used in meteorology to construct weather maps. 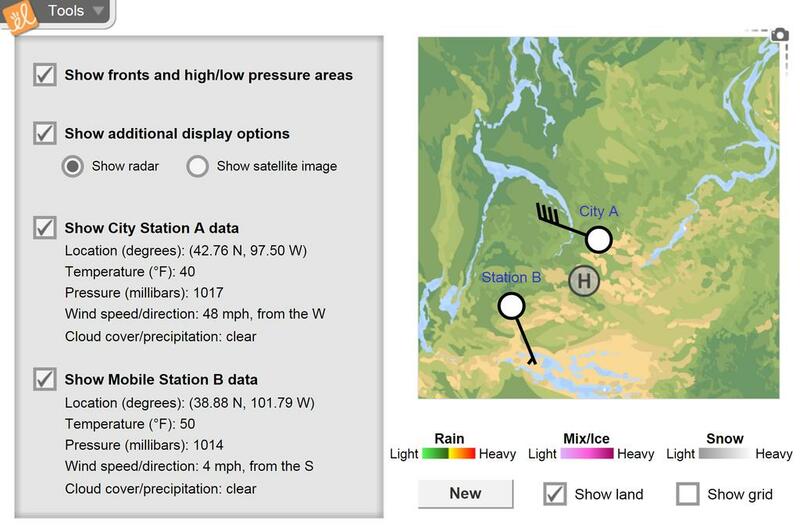 Rain, sleet, snow, temperature, cloud cover, wind speed and direction, and atmospheric pressure can all be recorded at two different weather stations on a map. Describe weather patterns characteristic of high-pressure systems, low-pressure systems, warm fronts, and cold fronts. Using content from the Dept. of Environmental Protection, a full chart of weather station symbols and the... (more)ir content explained will help students complete the gizmo more easily. Students practice translating weather symbols and learning about how weather components interact. I learned more from this Gizmo!